It seemed that the usually inclement Highland weather was being kind to us today and it had dawned a glorious summers’ morning at Glenmore by the wooded shores of Loch Morlich. 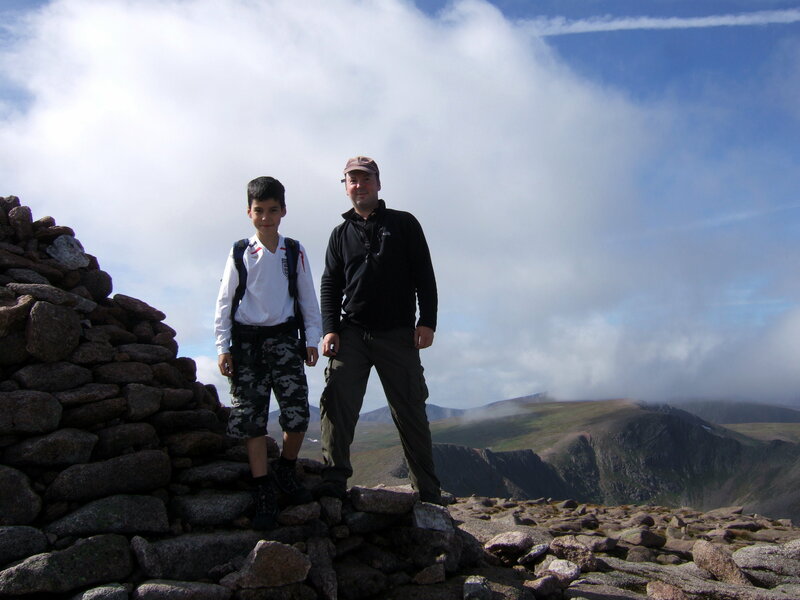 In the wake of our recent success on Ben Nevis, Josh (then ten) and myself were setting out to ascend two of the five 4000 foot peaks of the Cairngorms – Cairngorm itself and Ben Macdui – from Coire Cas just to the South of where we were staying. A few tourists milled about expectantly in the pale morning sun as they waited for the first train of the day to take them to the upper station 400 feet below the summit of Cairngorm. This train is the funicular railway which replaced the old chairlift I remembered from years before. The ride up – the last section through a tunnel – gives great panoramic views of the area but they apparently don’t allow you to go walking from the upper station so it would have been no help in shortening our long route today. Much has been said about the building of this funicular railway – namely about the mess they’ve made of this once pristine corrie. As in some Alpine valleys where wholesale destruction of once beautiful areas has taken place in the name of the ski industry – a single railway or cable car doesn’t seem to impact so badly on the landscape – it’s all the associated junk with several ski tows and miles of fencing along with the access roads and car parks that are a mess. Basically though, they shouldn’t be building anything up here. I was surprised how quiet the path was though, once we left the lower station behind. Despite the warm sunshine, hardly anyone was walking up the easiest 4000 foot peak in Scotland – Ben Nevis had been horribly crowded and the weather hadn’t been that nice. The wide gravely track wound its way steadily up past the old middle station and the closed ski tows. These places have an abandoned air in the summer and the cables hung silently from forlorn looking steel towers. You can avoid the ski paraphernalia by following a smaller path up the slope to the ridge from just above the lower station but Josh had wanted to go this way – it’s probably the shortest route to the top of Cairngorm anyway. In good time and with only one stop we reached the top station building and branched off up another path away from these man made intrusions and on up to the summit of Cairngorm and Josh’s second Munro. 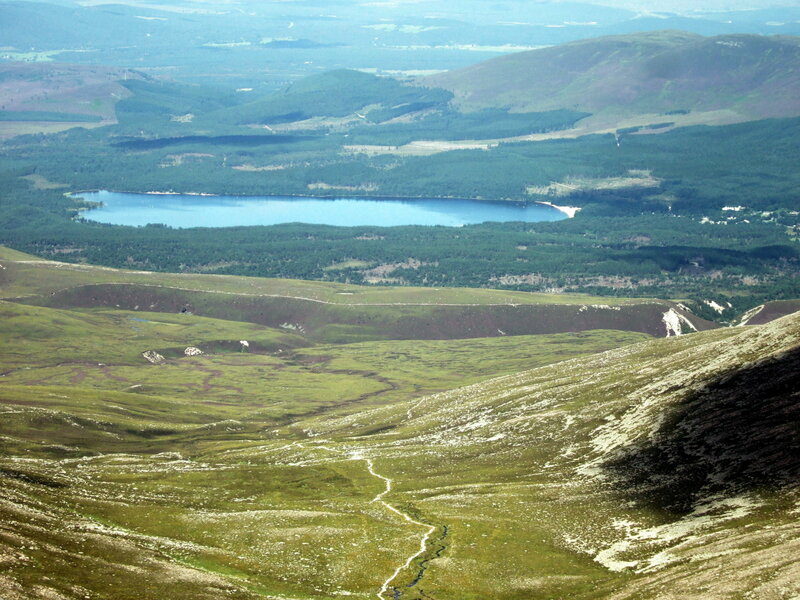 Away across the Cairngorm plateau, Ben Macdui could now be seen looking a very long way off – probably because it was. We decided to head in that direction but to turn back at 2 pm if we’d not made it. The way down the far side of Cairngorm was steep and loose but we soon rejoined the obvious path at the bottom of the slope which now led across the wide ridge and up to the peak called Stob Coire an t’Sneachda – the peak of the Corrie of the Snow. The weather had turned very warm now, especially for this high plateau which is actually the coldest region of Britain having a climate similar to the Arctic with summer temperatures averaging about 6 degrees C. We rested here again with wide open views across the Cairngorms towards Lochnagar in one direction and down to a blue mirror-like Loch Morlich in the other. Now we left the bouldery escarpment and descended the far side of the peak before following an obvious path out across the open expanse of the Cairngorm Plateau in the rough direction of Ben Macdui which rose ahead as a vast stony bulk adorned with a few semi permanent snow patches. 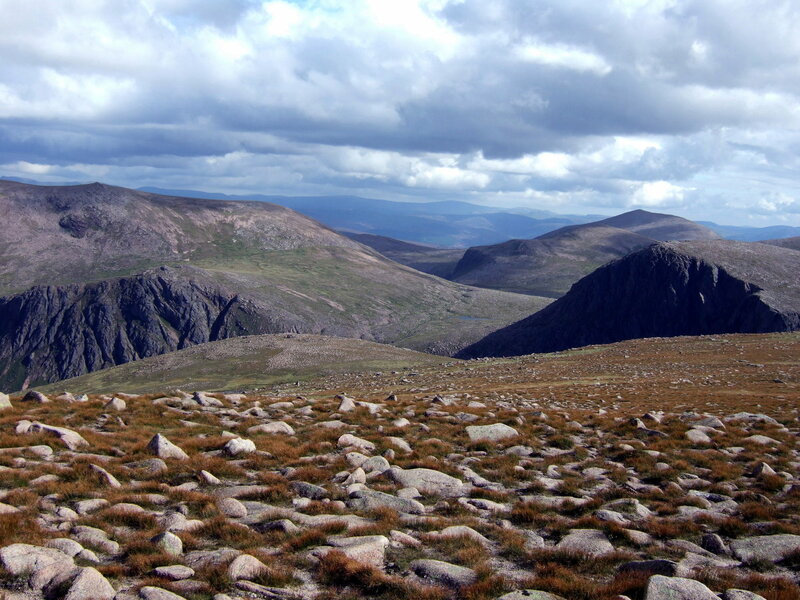 The mountains of the Cairngorms are generally more rounded in appearance than those of the Western Highlands but their size can be deceptive and they usually involve more walking than a first glance would suggest. 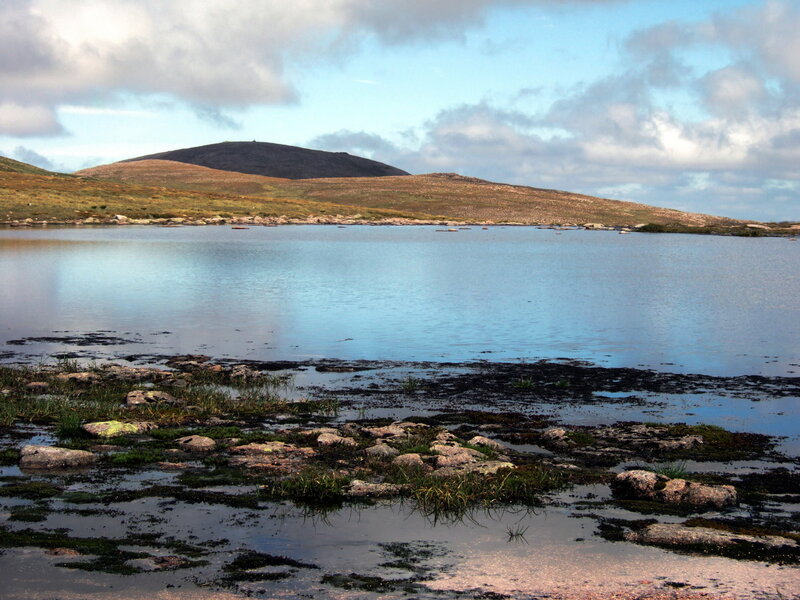 The walking here was easy though and we covered the distance quickly, arriving after a long almost flat section at the highest tarn in the British Isles – Lochan Buidhe which stands at 3650 feet – a small expanse of water in the midst of the vast tundra-like plateau. It was a lonely spot with its own wild beauty and now the peak of Cairngorm where we had stood a couple of hours before looked distant, reminding us that it was a long way back as well. From here there was no sign of other humans – anywhere. We had a mars bar each for energy and some water before heading onwards again. Looking at the time, I was keen not to sit around too long even if this wasn’t a bad spot to sit around in! Now the path led steadily uphill again with the going just as easy until we reached a boulder field where picking a way through slowed us down a little. Here we were passed the other way by a walker descending from the summit and he commented how well Josh was doing and told us that he’d seen a herd of the Cairngorm reindeer just below the top on this side. Beyond the boulders the route climbed a much steeper slope taking us up towards a shoulder of Ben Macdui. Spurred on by the thought of seeing the reindeer – which roam semi wild in the Cairngorms – we kept going up the steep section to where the path once again levelled out and there we stopped for a well deserved rest and some more water. The weather was still and warm – not so common up here I thought. From here the views opened out again back to the green Cairn Lochan and Cairngorm but also now across the deep defile of the Lairig Ghru to the rugged crags and ridges of Braeriach to the west. 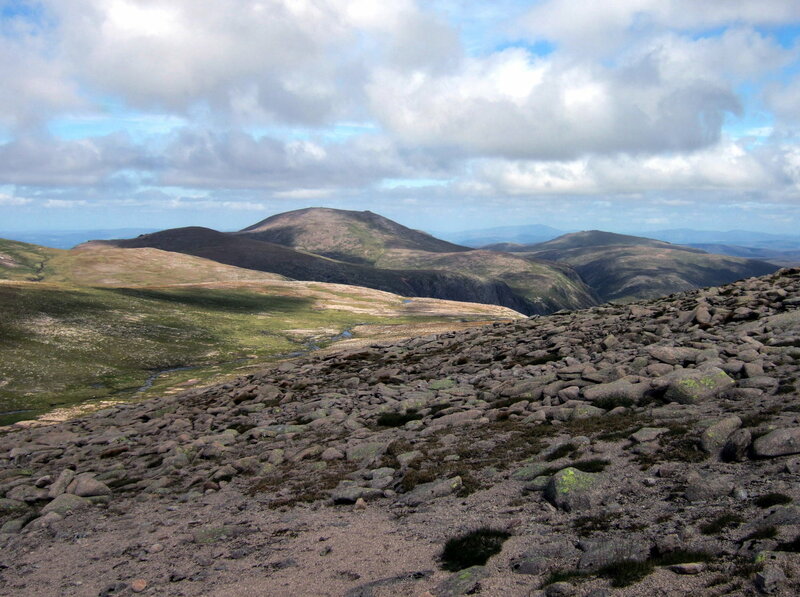 The last stretch to Ben Macdui could now be seen ahead – a harsh grey landscape of stones with very little vegetation rose gradually to the rounded summit. Crossing this desert like landscape took longer than expected but presently we came to a plateau of stones that was littered with several cairns and had views in all directions – and there was the trig point! We made for this and found a couple of comfortable rocks to use as picnic chairs. There was unfortunately, no sign of the reindeer – they must have wandered off. If they’d gone any distance they would be hard to see, reindeer being very well camouflaged in this landscape. I think I’d been looking forward to seeing them almost as much as Josh had. I’d been up here some years before – on nearby Beinn a Bhuird with Dad – when we’d topped a rise to face a scene from Lapland. A large herd of reindeer, perhaps 40 animals had filled the grassy hollow just ahead seemingly unaware of our presence. 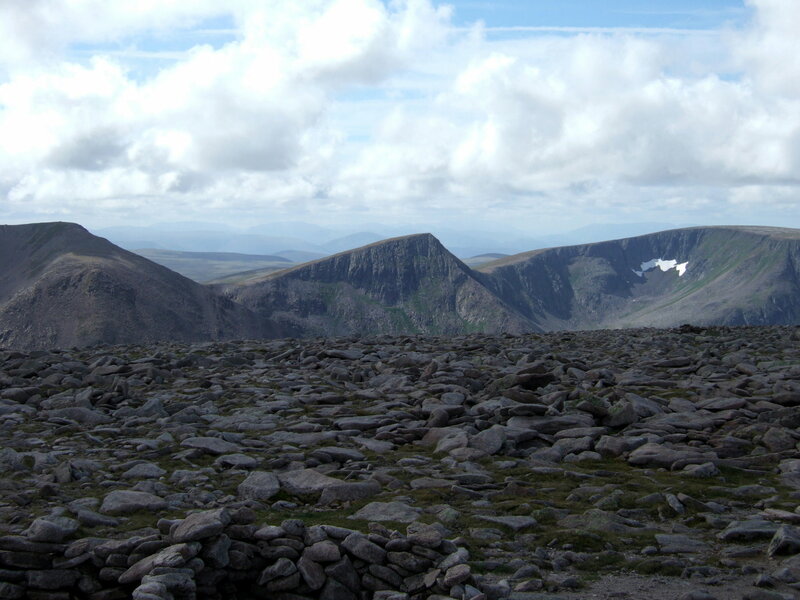 The view from this high vantage point included the rough craggy snow flecked peaks of Braeriach, Cairn Toul and Sgor an Lochain Uaine – also known as Angel’s Peak – across the Lairig Ghru. 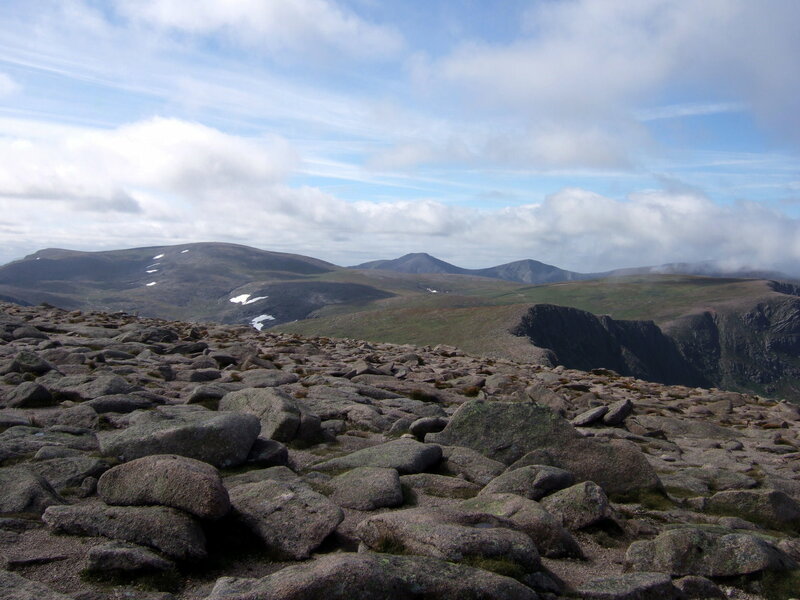 Beyond these, a distant Ben Nevis could be seen and – away south across the wild expanse of the Cairngorm Plateau – Lochnagar and the myriad grey peaks of the Grampians spread out in between. Our return journey to the car many miles away at Coire Cas was by the same route although rather than re-ascend Cairngorm; we went as far as the Fiacaill Ridge just before it which we descended by an easy path down to Coire Cas. 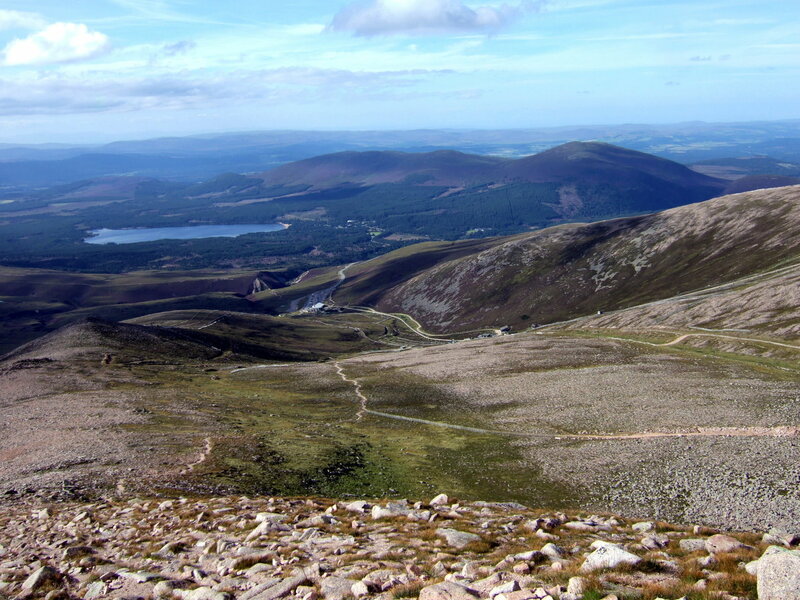 That would make a shorter ascent route to Ben Macdui if the intention wasn’t to climb Cairngorm too. The walk as done is 12 miles or just over 19km in length and climbs 2 Munros – Cairngorm (1245m/4085ft) and Ben Macdui (1309m/4296ft). Josh did get to see the reindeer after all. The following day we all joined the Cairngorm Reindeer Centre staff on their daily visit to feed those animals that were kept on the lower slopes of the Cairngorms above Loch Morlich. That’s a trip you can book at the Reindeer Centre at Glenmore and is well worth doing especially if you’re there with the kids being a short walk through the forest to where the reindeer enjoy a temporary home before their return to the high plateau. 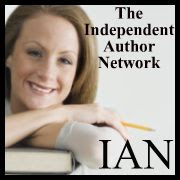 This entry was posted in Hiking, outdoors, Scotland, travel and tagged Ben Macdui, Cairngorms, hiking, mountaineering, mountains, nature, outdoors, photography, Scotland, Scottish Highlands, the munros, travel, United Kingdom, walking, wilderness, writing. Bookmark the permalink.